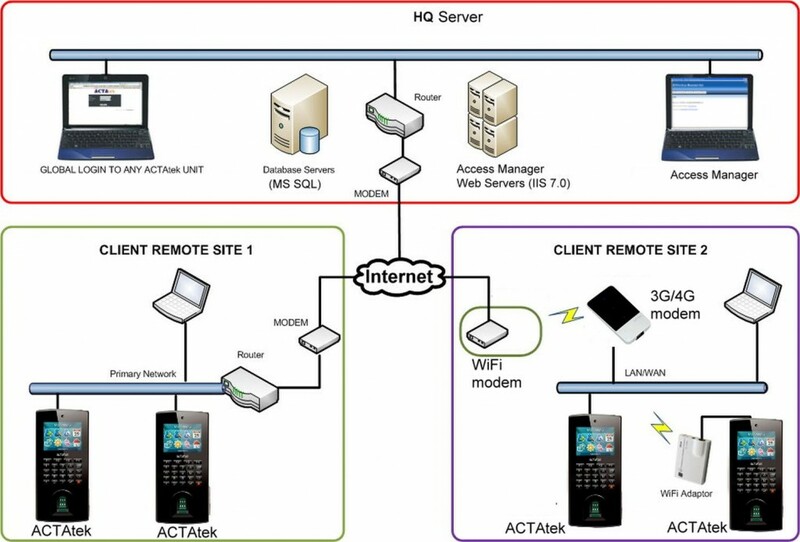 For end users with a relatively simple time attendance requirement and set up such as individual office, shop, small factories, they can choose to use the IoT web UI (user manual) or the TA software for time attendance and access control. The Master/Client setting allows 11 units of the IoTs network together without the need of using any computer at all. One can use the master unit’s web-application to browse all the In/Out event logs of all units as well as having full control of all units. The end users can use either single factor or multi-factor authentication depending on their needs using fingerprint, facial, PIN and/or RFID cards as well as a photo and video (using ID-Video) as part of the event log.